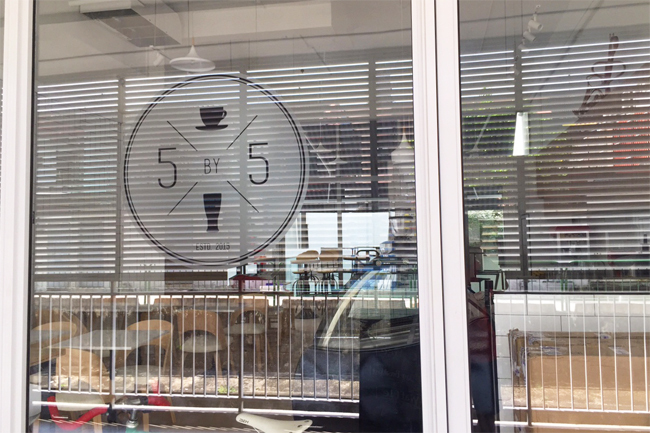 Five By Five, 5th Quarter, First 25 Café, Soi 55 At The Cathay… Seriously, September coincidentally is the opening month for cafes and restaurants with number ‘five’. Numbers same same, pattern and ambience different. 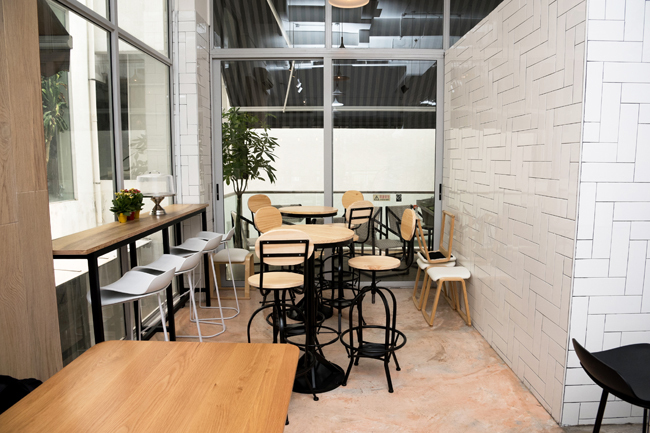 From black walls to white walls, wooden tables to marble tables, ambient lighting to natural lighting. 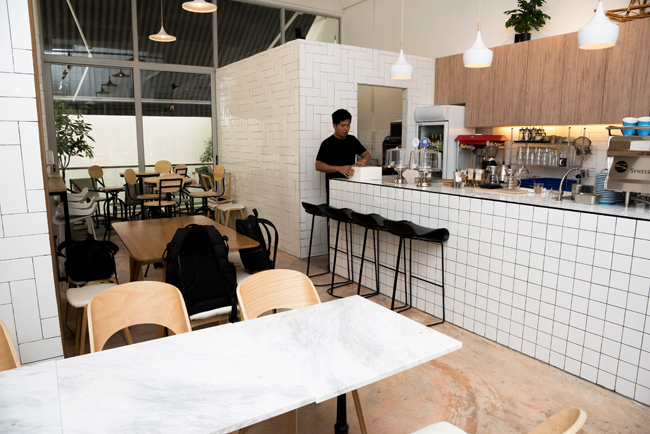 Currently in their soft launch phase (we will be back again when they are officially launched), only coffee, beer, cakes, waffles and ice cream are available. Prices are not stated and payment is made on a tipping basis. 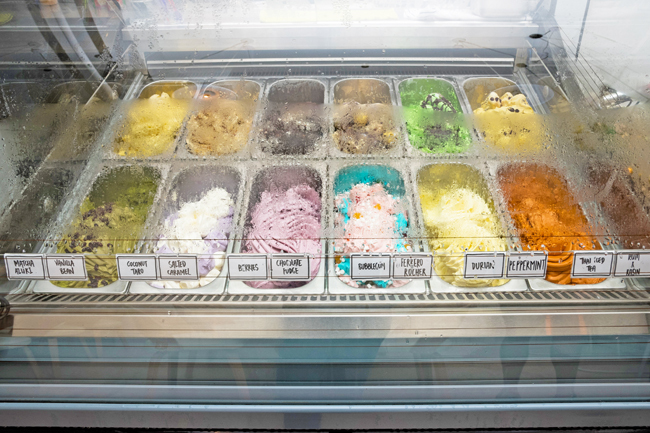 A total of 12 flavours were available for the ice cream with unique ones like Coconut Taro, Bubblegum and Thai Iced Tea. The waffle smell lingered in the café, so familiar, so nostalgic, just like what I had at November 8. Our favourite was the Coconut Taro which was rich, creamy, yam-my and yummy. 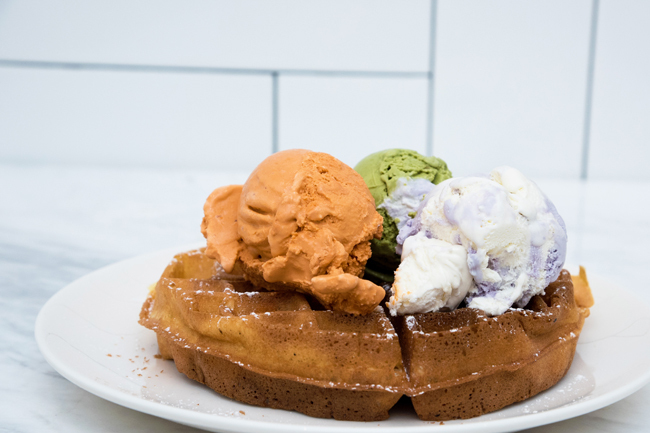 The Thai Iced Tea was similar to the Cha Yen, which was on the sweeter side whereas matcha azuki was less promising. Some parts of the waffle were slightly under-cooked and doughy though. 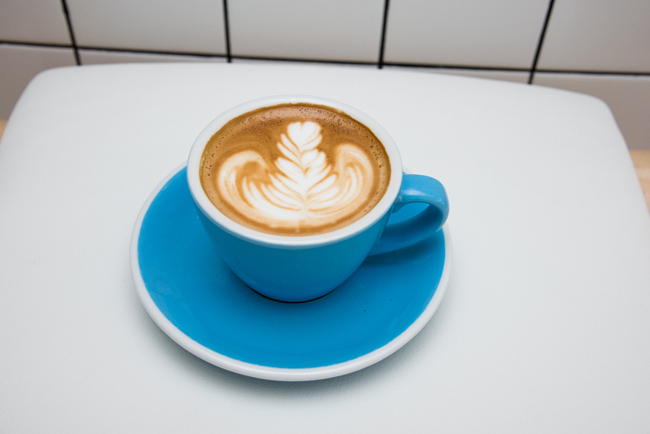 For those looking for a cuppa Joe, beans are supplied by Common Man Coffee Roasters. We look forward to the launch of their full menu when they are fully operational. Will it be on 8th November? 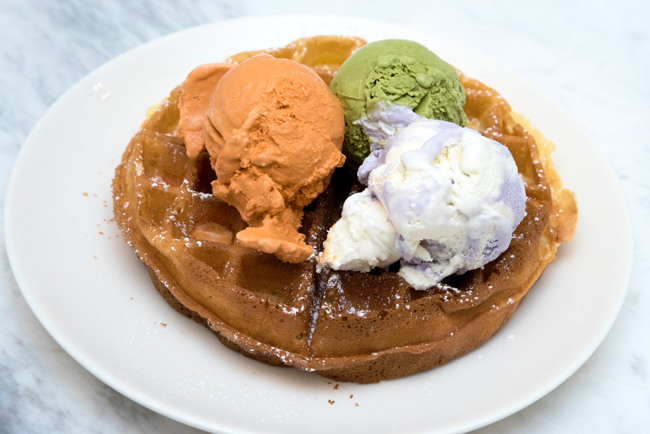 * By Daniel’s Food Diary Cafe Correspondent Nicholas Tan. Find them on instagram @stormscape.